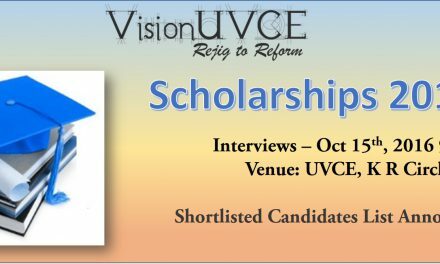 Here is the Final list of VisionUVCE Scholarship awardees for the year 2017-18. Congratulations!! within the limitations and understanding. We know and understand that each of the people were eligible and deserving. We assure that, apart from Scholarships too, if you approach us for any other support/guidance, we will try to help. We thank the alumni who joined hands and contributed funds generously. 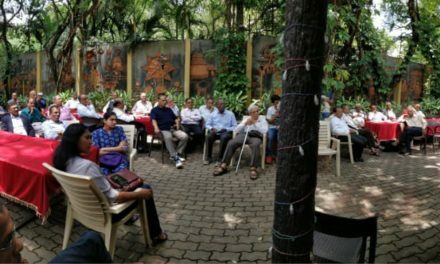 Also, we are grateful to the alumni who came down to college during the interview process in spite of their busy schedule and interacted with the students. As we have been assured sufficient funds from alumni across the globe, we have the final list which has the names of 28 Full Scholarships & 44 Half Scholarships for this year. We will be announcing the dates for Scholarship distribution shortly, which will be a very simple event, just like the previous six years. We want the affair to be quiet and simple, but encouraging the students to put in their best efforts. 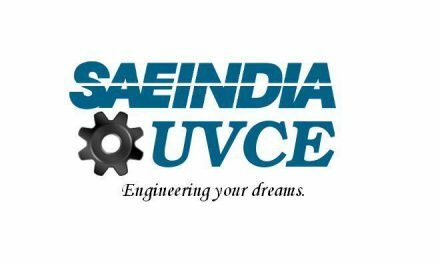 We want to assure everyone who applied for the Scholarships or attended the interviews, that you can approach us for any sort of help you need without any kind of hesitation. As mentioned earlier, starting this year, we would like to monitor the progress of the scholarship awardees in order to check the efficiency of the scholarship initiative. We will be meeting them once in two months and we would like to them to be present compulsorily present and share their views and thoughts with us. More details about it shortly..